In a world where 70.8% of speaking roles in television are taken by white actors, media is absolutely starved for diverse actors. Thankfully, 2018 has marked the renewal of awesome shows with LGBTQ characters, characters with mental illness, and of minority race. On top of that, these phenomenal shows are full of relateable plots and hilarious antics. A remake of the original One Day At A Time, the new web show focuses on a single latina mother struggling with PTSD from her time in the military. Each episode revolves around a new issue faced by the latinx community. The show has been praised for it’s portrayal of mental illness, sexism, and homophobia (as experienced by her daughter, who’s coming out subplot plays a major role in the plot). The third season was just renewed for Netflix, so we can all look forward to it’s premiere! An adorable comedy soon nearing its end, this show narrates Kimmy’s return to the world after being locked in a doomsday cult for 15 years armed with only an eighth grade education and a positive mindset on life. Along the way she works for a somewhat self absorbed socialite Jacqueline White, a Lakota Native American woman trying to pass as white. Her journey of reconnecting with her culture frequently appears in episodes, and you find yourself rooting for her and her estranged parents. Kimmy deals with her trauma with the help of her recovering-alcoholic landlady Lillian (my personal spirit animal), and her openly gay and flamboyant roommate Titus Andromedon. He is fiercely protective over Kimmy and sort of acts as her new-world mentor. Kimmy’s childlike personality is so endearing that you find yourself addicted to this show. Sadly, it is only drafted for one more season: it’s fourth. While it is nearing it’s end, we have until next year to appreciate this marvellous show! 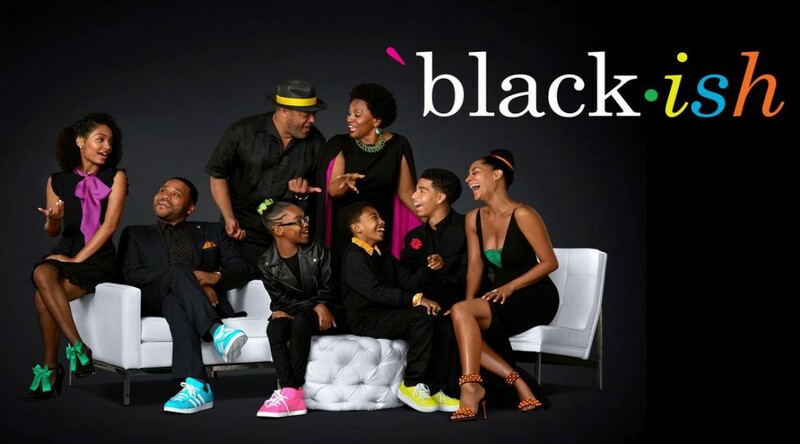 Black-ish is a hilarious comedy about an upper middle class black family’s antics. The show finds humorous ways to deal with real issues, such as the episode where Dre (patriarch of the family) narrowly avoids helping a little girl who is lost for fear of looking like a kidnapper. The show was so popular, the college daughter got her own spin off series “Grown-ish”, which focuses around her experiences as a young adult. An adaptation of Eddie Huang’s American childhood, Fresh Off The Boat tells the story of the Huang’s immigration from Washington Dc to Orlando Florida to open a steakhouse. Consider it a typical 3rd generation retelling of a Taiwanese upbringing in America: chock full of traditional references, such as the episode where the girlfriend makes the mother cry by bringing oranges and taking off her shoes. The main character Eddie (based off of Eddie Huang himself) is a die hard rap fan and all around American kid, while his siblings vary dramatically. There is Emery: charming and suave, and Evan: a scarily smart kid who is best friends with all of the housewives on the street. Finally the parents: a loveable duo just trying to live the American Dream.